The Real Truth About Allergies With a Bonus Tip! Over the past couple of weeks I have heard so many people saying that their allergies are bothering them with increased sneezing, coughing, runny nose and itchy eyes. The increased number of people complaining of these symptoms is quite frankly alarming! What is an allergy? Quite simply it is something your body and the immune system is not adapting to. Allergies are not a shortage of Reactin in the body. 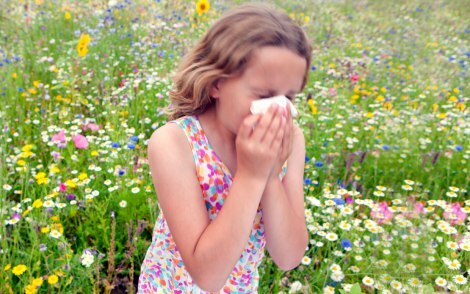 The immune system coupled with the nervous system can fight allergies if there is no interference. Have you ever pondered why some people have excessive reactions to allergens while others do not show any symptoms at all? If you improve the immune system you improve the ability to adapt to the environmental triggers. Well how do you do that you may ask? One study by Dr Ronald Pero Phd, an ecogenetic toxicologist tells us that by chiropractic adjustments of the thoracic spine the immune system efficiency jumps up to 400%. That alone is a powerful ally in the battle of spring pollens. But as they say on TV … but wait there’s more…. Certain vitamins have shown to help combat these issues…Foods for example that are rich in Vit C have been shown to unblock clogged sinuses, so consume oranges, broccoli, grapefruit, kale and brussels sprouts. The flavonoid quercetin has been shown to inhibit the release of histamines that trigger the symptoms of allergies, so adding foods high in quercetin like black and green tea, berries, apples, and red onions may help. Some studies have indicated that papaya and pineapple, which contain bromelain, can reduce seasonal allergy symptoms as well. Bonus tip….You can place a drop of Eucalyptus oil just under the nose. Take deep breathes through your nose. It has anti-inflammatory and decongesting properties. Repeat throughout the day. Additionally drink plenty of water to help flush toxins. Call the office and we can discuss your issues at a no obligation consultation.